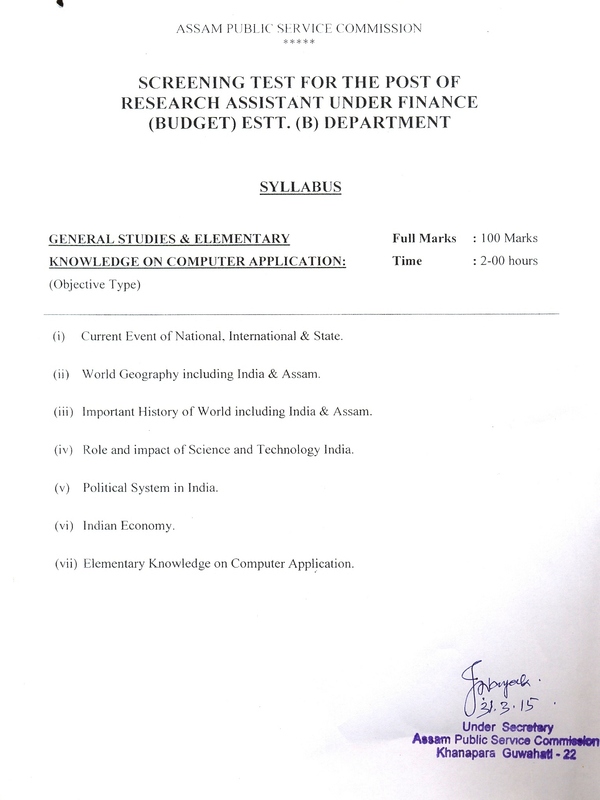 Assam Public Service Commission (APSC) released screening test schedule for recruitment to the post of Research Assistant under Finance (Budget) Estt. (B) Department. The question paper will be of two-hour duration and will carry 100 marks. Candidates who had applied for the post can get more details about the syllabus from the link given below.